In 2017, asbestos was found in several children’s makeup products sold by retailers Claire’s and Justice. The products were recalled, but parents and consumers remain concerned because this isn’t the first time asbestos has been found in everyday products. Why Is Asbestos in Makeup? Asbestos ends up in makeup because of poor regulations involving cosmetic-grade talc, which is also known as talcum powder. Talc and asbestos are minerals that form together. That means talc mined for commercial uses can be contaminated with asbestos — a known cause of lung cancer and mesothelioma. Talc is added to makeup because it creates a soft, silky texture, and it dilutes pigmented products and acts as filler. It is a common ingredient in powder compacts, finishing powders, eye shadows, blushes, foundations and creams. It is the softest mineral on earth and is known for its ability to absorb moisture and reduce the appearance of oily skin. For example, talc-based face powders are commonly used on top of cream foundations to “set” the foundation so that it stays in place and looks naturally dry instead of oily and shiny. The U.S. Food and Drug Administration (FDA) says it is important to select talc mining sites carefully and take steps to purify talc to prevent asbestos contamination in cosmetic products. Unfortunately, this is easier said than done. There is a long history of asbestos remaining in talc that is certified asbestos-free. Manufacturers don’t purposely add asbestos to cosmetics, but there is a lack of regulation around cosmetic-grade talc. Because of that relaxed oversight, no one is checking for the presence of asbestos. That means companies can get away with not testing their talc for asbestos before putting it into their products — possibly harming consumers. 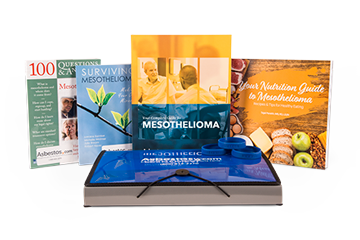 Our Mesothelioma Guide Explains How Asbestos Exposure Causes Cancer. 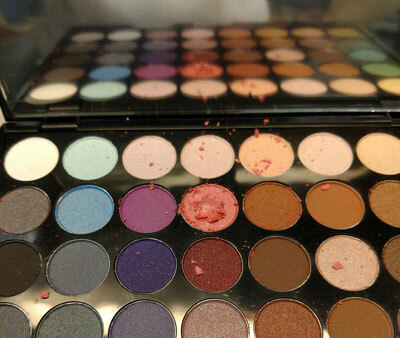 Claire's makeup recalled for asbestos contamination. The FDA does not regulate cosmetic-grade talc. The Federal Food, Drug and Cosmetic Act of 1938 does not require the FDA to review cosmetic products and their ingredients, with the exception of color additives. However, in 1976, the Cosmetic, Toiletry and Fragrance Association (now known as the Personal Care Products Council) asked its members to use asbestos-free talc in their products. While the FDA says that it “considers it unacceptable for cosmetic talc to be contaminated with asbestos,” there are no U.S. laws or regulations that strictly prohibit talc used in consumer products from containing asbestos. Cosmetic manufacturers certainly may try to avoid talc contaminated with asbestos, but there is no regulating body checking commercial talc for asbestos. The FDA and other federal agencies do not examine talc and talc-containing products made overseas. From 2009 to 2010, the FDA conducted studies on samples of talc from four suppliers along with 34 makeup samples and found no asbestos contamination. However, all the makeup samples were collected from the Washington, D.C. area, whereas other studies that did find asbestos in cosmetics collected samples throughout the United States. Additionally, the FDA asked nine talc suppliers for samples, but only four complied. Operators of the nine commercial talc mines in the United States, overseas suppliers of talc and the cosmetic industry as a whole all say there is no asbestos in their talc, despite scientific investigations proving otherwise. In December 2017, a lab confirmed it found asbestos in makeup products sold by Claire’s, an accessory and jewelry retailer that markets its products to girls and young women. Just five months later, the same lab identified asbestos in Just Shine Shimmer Powder sold by Justice, a retailer that sells clothing, accessories and cosmetics to girls and teens. Investigators purchased Claire’s makeup products from nine different states and found tremolite asbestos in every product. A total of 17 samples were tested, including duplicate products coming from different states, which amounted to nine different products that Claire’s later recalled. The government-licensed Scientific Analytical Institute (SAI) in Greensboro, North Carolina, found the asbestos in these products. These cases are not rare to Fitzgerald. In fact, he has found asbestos in consumer products many times. In 2015, his lab found asbestos in children’s crayons and a toy fingerprint kit. He is also one of three authors of an extensive study of talcum powder as a cause of mesothelioma in women. On March 13, 2018, the U.S. Public Interest Research Group (PIRG) said it found more asbestos in other makeup products sold by Claire’s. PIRG conducted tests on four of Claire’s makeup products and discovered high levels of asbestos in three of them. Claire’s denied the test results. The retailer stated the company only uses certified asbestos-free talc in its products. In addition to Claire’s products, U.S. PIRG tested 11 other talc-containing cosmetic products made by Cover Girl, L’Oreal and NYX Professional Makeup. None of the other products contained asbestos. A week prior to U.S. PIRG releasing its test results, reports began to circulate that Claire’s was planning to file for bankruptcy. On March 19, 2018, USA Today reported that Claire’s filed for bankruptcy, citing more than $2 billion in debt. Justice announced on Feb. 1, 2018 that while their initial tests showed no asbestos, a second round of tests they ordered found trace amounts of asbestos in Just Shine makeup. Justice recalled eight products as a result of the second round of tests. On March 5, 2019, the FDA confirmed asbestos contamination in the three Claire’s products and Justice powder. Claire’s claimed the FDA’s test results showed “significant errors,” but the company announced it had removed the products from stores and would pull any remaining talc-based cosmetic products. Talc is added to many consumer products in addition to cosmetics including deodorants, powders, soap, feminine hygiene products, contraception devices, pills, textiles, chalk, children’s balloons, clay and crayons. Questions About Asbestos in Makeup? Our Patient Advocates can answer your questions and find you the help you deserve. In response to the reports of asbestos in children’s makeup, U.S. Rep. Debbie Dingell, D-Mich., introduced the Children’s Product Warning Label Act of 2018. The bill aimed to protect kids from asbestos in cosmetics by adding warning labels to products not verified as asbestos-free. Manufacturers would have to use the most reliable testing methods to prove the product is free of asbestos, including the transmission electron microscopy method. The legislation was introduced to the House and sent to two subcommittees, but never gained traction. How Do You Avoid Asbestos in Makeup? Simply looking for “all natural” or organic cosmetics isn’t enough to avoid asbestos-contaminated talc. That’s because talc is an all-natural substance. There’s no surefire way to know if the talc in a product is truly asbestos-free without extensive testing of the individual product. You’ve got to look at the product label to see if it contains talc and avoid it if it does. Knowing the different terms used to describe talc is important. Certain cosmetic products and brands make talc-free makeup and cosmetics. Online resources are available to find these brands and products. For example, you can use the websites Skin Deep and Made Safe to find talc-free cosmetics. It’s probably wise to avoid talc in general because some scientific research indicates that it may increase the risk of uterine and ovarian cancer in women and lung cancer among miners. The American Academy of Pediatrics advises against the use of baby powder, which is predominately made of talc, because infants can easily breathe in the powder. Parents can protect their children from asbestos in makeup by buying only cosmetics free of talc. Sadly, it’s up to consumers to protect themselves and their children from this risk because the government isn’t doing enough to regulate asbestos. What Does “Asbestos-Free” Actually Mean? The U.S. government decided that products may contain up to 1 percent asbestos and be labeled as “asbestos-free.” As a result, hundreds to thousands of asbestos fibers remain in products that aren’t considered asbestos-containing materials in the eyes of the law. The laws and regulations pertaining to asbestos were defined by the following federal agencies. The EPA tried to ban asbestos in 1989, but pro-asbestos lobbying groups fought hard to successfully overturn the ban in 1991. The Bush Sr. administration refused to allow the EPA to appeal. As a result, numerous products on the market contain asbestos, especially building materials such as roofing and flooring supplies. Asbestos in makeup falls in a grey area of the law. There is no law that regulates asbestos in talc, and the FDA can’t do anything about it unless scientific data shows it is harmful under its intended use, which is hard to prove given the long latency period associated with asbestos-related diseases. It takes between 10 to 50 years for asbestos-related diseases to develop. Only a few lawsuits have compensated patients who claimed they developed mesothelioma as a result of asbestos-contaminated talc. These lawsuits were based on individual products no longer on the market. The FDA didn’t have to take any action because the scientific data was based on products that aren’t available today including Cashmere Bouquet talcum powder and products made from talc supplied by Whittaker, Clark & Daniels. What Are the Proper Asbestos Testing Methods? Retailers Justice and Claire’s claimed they had the products in question tested by other laboratories that found the products to be free of asbestos. However, the kind of testing conducted by those labs was likely not sufficient to detect microscopic asbestos fibers. Justice and Claire’s said their labs are certified by the International Organization for Standardization (ISO), which is intended to demonstrate that the lab can produce accurate tests or calibration data. However, the ISO does not certify that a lab can properly test for trace amounts of asbestos. Fitzgerald, of the Scientific Analytical Institute, used the most advanced testing available to find asbestos in Justice and Claire’s makeup. Fitzgerald uses a transmission electron microscope (TEM) to detect asbestos. The EPA recommends the use of TEM to test for asbestos because it is exceedingly better than other methods such as X-ray diffraction (XRD) and polarized light microscopy (PLM). Manipulating scientific data is nothing new for companies with asbestos in their products. Asbestos product manufacturers have been covering up the health effects of asbestos since the early 20th century. Unfortunately, when it comes to asbestos in makeup, the legal term caveat emptor, which is Latin for “let the buyer beware,” applies all too often. It is up to the consumer to avoid talc products that may be contaminated with asbestos because no federal agency is responsible for regulating asbestos in makeup. The best a parent or consumer can do is avoid cosmetics that contain talc, which requires reading labels and learning which brands leave talc out of their products. American Cancer Society. (2017, August 24). Talcum powder and cancer. Bomey, N. (2018). Claire's Stores jewelry chain files for Chapter 11 bankruptcy protection. FDA. (2017, November 15). Talc. PCPC. (2007, November 29). CTFA changes name to the Personal Care Products Council, launches consumer information web site on product safety. CTFA. (2004, September 14). Review of cosmetic talc for listing in the Report on Carcinogens, Twelfth Edition. U.S. EPA. (n.d.). U.S. Asbestos laws and regulations. U.S. EPA. (n.d.). U.S. Federal bans on asbestos. Campaign for Safe Cosmetics. (n.d.). Talc. Justice. (2017, September 5). Just Shine product recall. Claire’s. (2018, January 4). Product and safety. Mofenson, H.C. et al. (1981). Baby powder—A hazard! Pediatrics, 68(2). Bowker, M. Fatal Deception: The Terrifying Story of How Asbestos is Killing America. New York: Simon & Schuster, 2003. EWG. (2018, February 7). EWG applauds bill to warn of asbestos in cosmetics. Zaniewski, A. (2018, February 7). Dangerous kids’ makeup must carry warnings, new proposal requires. Justice. (2018, February 1). Just Shine product recall.